Phil Walker is the owner and creative director of Jump\Cut Productions. He is also an award-winning producer and editor with 20 years of experience. His work has focused largely on education, community, history, arts, social issues and the environment. During an eight-year tenure at Georgia Institute of Technology, Phil worked on documentaries, public service announcements, video news releases and biographies. Phil Walker and David Druckenmiller, co-producers of D-Day: Down to Earth—Return of the 507th. In 1994, Phil produced a series of public service announcements for Georgia Tech and the Carter Center in support of the United Nations Conference on Population and Development. These efforts took him around the world, to Latin America, the Middle East, Africa, Europe, Scandinavia and China. The PSAs, which aired in more than 60 countries, featured such dignitaries as President Jimmy Carter, Vice President Al Gore, U.N. Secretary General Boutros Boutros-Ghali and explorer and U.N. environmental adviser Jacques Cousteau, as well as prime ministers from various countries. This project was honored with numerous awards, including an Emmy (National Television Academy, Southeast Chapter) and two Telly awards. 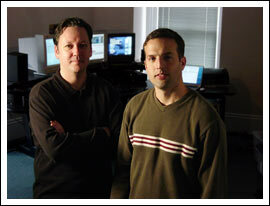 Phil started Jump\Cut Productions in 1998. In 2004, Jump\Cut Productions completed its first broadcast documentary, D-Day: Down to Earth—Return of the 507th. Over his 17-year career in video and television production, David Druckenmiller has produced and edited a wide range of corporate and broadcast projects including personal biographies, educational documentaries, national and international broadcast public service announcements and promotional programs. His recent work on a television series pilot that he co-created and co-produced, Testimony—Profiles in Faith, earned him an Emmy nomination (National Television Academy, Southeast Chapter) in 2003 for documentary film production. The pilot also won a Houston International Film Festival Platinum Award in 2002 for television series pilots. In 2003, David joined Jump\Cut Productions as co-producer of the broadcast documentary D-Day: Down to Earth—Return of the 507th.